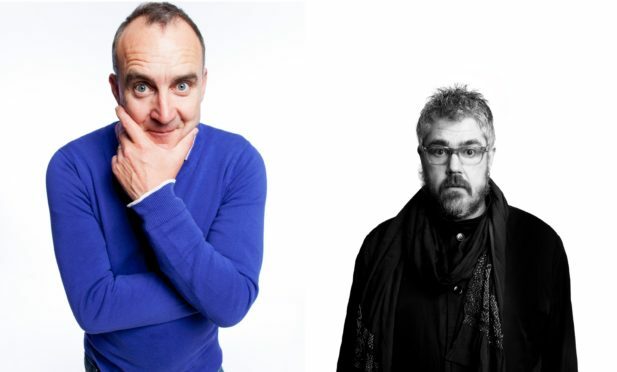 Jimeoin and Phil Jupitus are amongst the big names announced for the comedy line-up at the Rewind Festival. A regular at The Edinburgh Festival Fringe, Phill Jupitus, who now lives in Fife, will be headlining Rewind Scotland’s comedy roster on Saturday July 20. The stand-up comedian and performance poet known for his alter ego Porky The Poet, Phill started his performing career in 1984 supporting Billy Bragg, The Style Council and The Housemartins. Aside from his long-running role as team captain on BBC Two’s pop quiz Never Mind The Buzzcocks, Phill has also appeared on 8 Out of Ten Cats, Would I Lie to You and Pointless Celebrities. Joining Phill is Emmanuel Sonubi. The North London comic may have only been on the circuit for what feels like five minutes but he’s already gaining quite a reputation for himself as one to watch out for. Emmanuel is expected to win some new fans at Rewind as he takes the Forever Stage on both Saturday and Sunday. Jimeoin, hailed as one of the hottest comics of his generation, headlines Rewind Scotland’s comedy line up on Sunday July 21. The English-born stand-up comedian and actor made his debut at the Edinburgh Festival Fringe in 1993 and since then has gained a huge international following having performed at some of the world’s biggest arts festivals. *Rewind Scotland takes place at Scone Palace, Perth, from July 19 to 21.